As you can see in my photos below, the hydrangea flower on the plant named “Blushing Bride” is going through a change to green as it ages. It started off white, then began showing cream or ivory colored petals mixed with the white. Now it’s taking on a definite greenish appearance. However, if your soil alkalinity is different from mine, your Blushing Bride flower may be pink or blue. 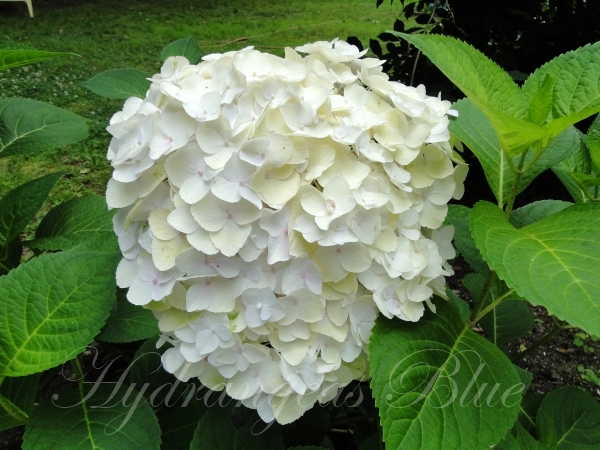 This is one type of hydrangea which has flowers that will be various colors according to the type of soil. Recently planted Blushing Bride shrub with new flower just beginning to grow (top). Ivory colored petals beginning to show. Now the white flower is turning green. 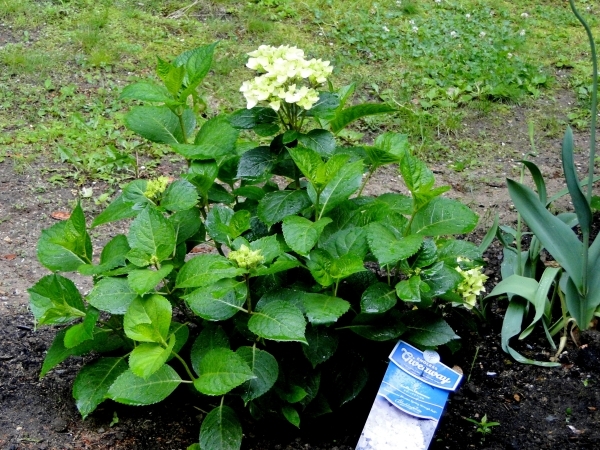 Previous Post Learning From Experience – Which Hydrangeas Are Best? thanks for the pingback! 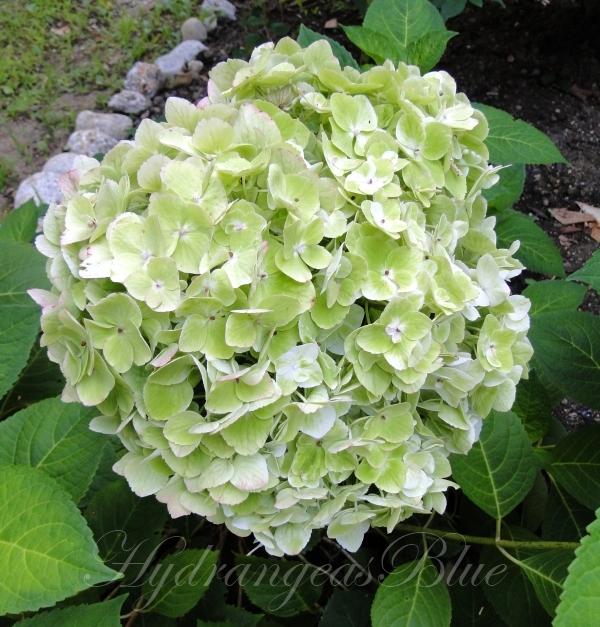 I love your blog and I’m looking forward to following and really learning all about hydrangeas!